The results of the XXIII International Festival Zodchestvo are presented. The exposition on the theme of the Festival “New industries. Positive practice of urban development” proposed solutions to such urgent problems as revitalization of Russian monocities, creation of comfortable spaces and integration of architects’ ideas and administrative requirements. BRAZHNIKOVA, Inessa. The XXIII International Festival Zodchestvo. 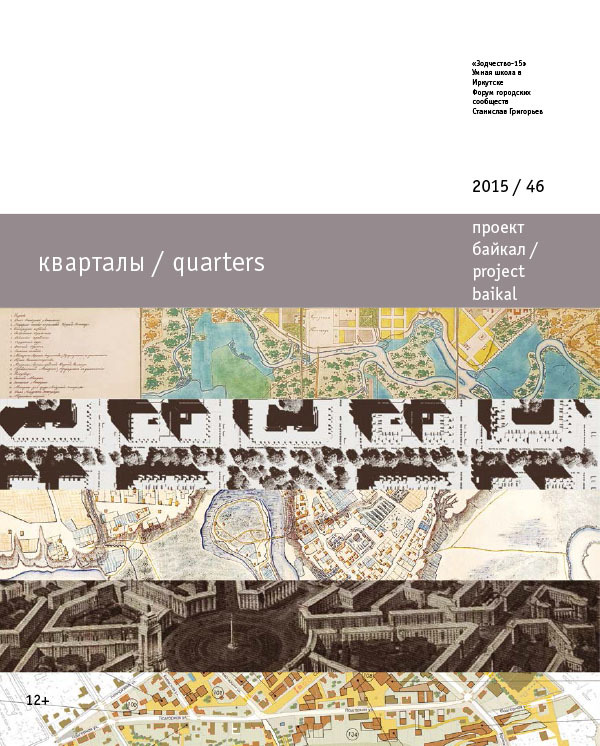 project baikal, Russian Federation, n. 46, p. 8-9, dec. 2015. ISSN 2309-3072. Available at: <http://projectbaikal.com/index.php/pb/article/view/932>. Date accessed: 23 apr. 2019. doi: https://doi.org/10.7480/projectbaikal.46.932.